ONE of Pat's greatest assets is his ability to take misfortune cheerfully. The request, "Name and initials, please," seldom brings forth peals of laughter from any of us; but from Pat it's sure to coax a grin, for he's a son of Erin. Pat has high aspirations. While it has never been his highest ambition to step off the pivot with one full and six-half steps, he has ever kept the demon academics well under control. Nor have his efforts in the line of sports gone unrewarded. Four years of effort in many sports have brought home a sense of leadership and responsibility not easily acquired. Academically speaking, Pat realizes that there are many Admirals, but there is only one Judge Advocate General. There lies the road. (Let us not in our wanderings imply for a moment that Pat is any sort of a sea-lawyer!) There are people we appreciate more the better we know them, and Pat is of that type. He is earnest and diligent, both in work and in play. With this spirit and his general good nature, we feel perfectly safe in prophesying his future success and advancement in the Service. Black N*. Class Football 1. Football B-Squad 2. Class Crew 3, 2. Times Prize 2. Log Staff 2, 1. Plebe Crew Squad. Swimming 4. Water Polo 3, 2, 1; wNAp 3, 2. 2 P.O. 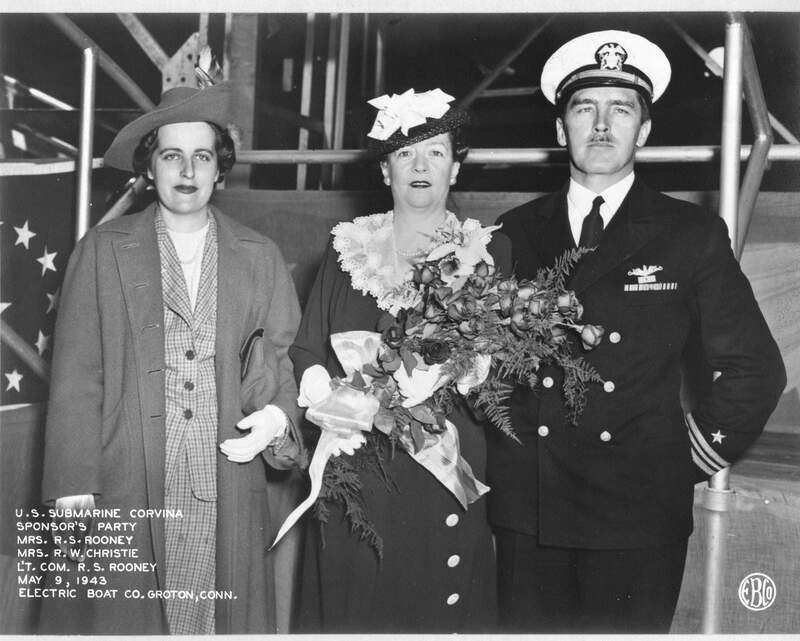 Roderick was lost when USS Corvina (SS 226) was sunk on November 16, 1943 by a Japanese submarine. He was the boat's commissioning commanding officer. Corvina's (SS-226) officers with their wives at Polly's Inn off West Norwich Road, Montville, CT. 16 July 1943. 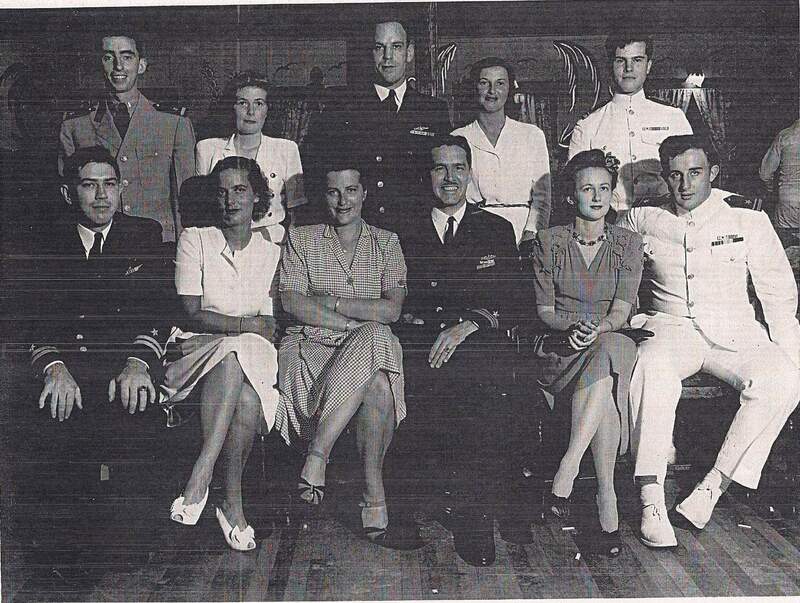 Lieutenant Commander R. S. Rooney is in the middle, second row. Lieutenant Commander (Executive Officer) David Kinney Sloan, Jr. is seated 4th from the left in the front row. 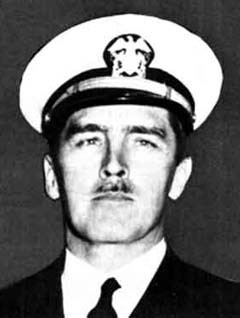 SYNOPSIS: Commander Roderick S. Rooney (NSN: 0-62620), United States Navy, was awarded the Silver Star for conspicuous gallantry and intrepidity in connection with military operations against an armed enemy, during World War II. His gallant actions and dedicated devotion to duty, without regard for his own life, were in keeping with the highest traditions of military service and reflect great credit upon himself and the United States Naval Service. Roderick is one of 29 members of the Class of 1929 on Virtual Memorial Hall.